For more information download the CE-40-1000 brochure. The brand new CE40 Electric Pump is available as part of our range of high quality water jetting equipment. It features a durable, sturdy frame which has been made from hot dip galvanised press sheet metal parts with stainless steel rails. The machine can be easily transported and kept in place. This is because it features two large pneumatic wheels with a brake in addition to a front castor wheel. View our product specification for more details. For more information about our products see our downloads section. 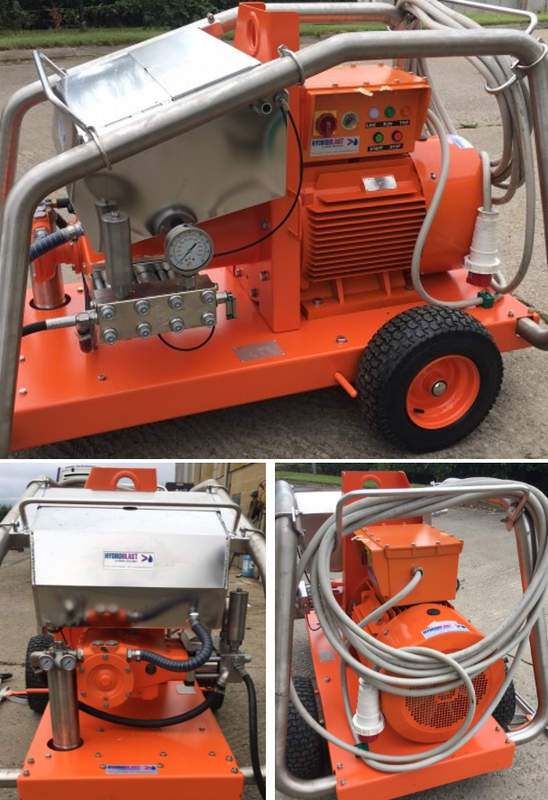 If you would like more information on any of our high pressure water jetting equipment for sale, please don’t hesitate to contact Hydroblast Ltd. today on 01677 424 542. We will be happy to offer our expertise and provide you with more information. Alternatively, fill out our online contact form to get in touch.